Tucked into the Sacred Valley of Cusco, the sunny Peruvian village of Pisac is one travelers to Cusco shouldn’t miss. Right on the Willkanuta River, the area is best known for its spectacular Incan ruins, local market, and charming little streets woven throughout. Just an hour drive from Cusco, Pisac is also the perfect starting point for exploring the Sacred Valley. Read on for our favorite things to do in Pisac, and why we think it’s one of the best places in Peru for every type of traveler to visit! This hilltop Inca citadel sits high above the village of Pisac below, resting on a plateau at the entrance to the valley. It is believed to have been a guard for the Urubamba Valley below, as well as a pass leading into the jungle. The ruins feature impressive agricultural terracing sweeping down the canyon slopes, remarkably neat masonry in the temples, an intihuatana (an ancient astronomical tool), and water channels that work to this day. A mixture of ceremonial, agricultural and military functions create a site that warrants at least a few hours of your time to truly explore. No wonder it was named by National Geographic as one of the best Inca ruins to see outside of Machu Picchu! The biggest artisan craft market in the entire region, the infamous mercado is one of the Sacred Valley’s most popular attractions. Vibrant woven goods, delicious local food cooking on the street, and every detailed Andean handicraft under the sun await you in this fair. Even though official market days are only Tuesday, Thursday and Sunday, it has become so popular that now buzzes with traditionally dressed locals and tourists alike any day of the week! If you’re coming to Pisac, make sure you allow time (and bring enough cash!) so that you can shop and barter your way to taking home plenty of these incredible items. Wandering through the overflowing aisles of classic Peruvians goods is an experience you won’t want to miss! The village’s botanical garden hosts a giant courtyard full of beautiful flora local to the area. This is one of the quicker things to see in Pisac, but absolutely worth stopping in as you explore the town! Sit in the shade and take in the artfully collected nature, guarded by the resident cat. If you’re visiting Pisac sometime around July 15 to July 18th, make sure you don’t miss this renowned event! This traditional celebration of the Virgin of Carmen, who helps the village by defeating demons climbing on rooftops and balconies (‘Mamacha Carmen’), involves processions on the town streets and exuberant masked dancing. Anyone who wants to be right in the midst of the town’s traditions and culture should absolutely try to see this! Wondering where to eat? Giant clay ovens are staples in this town, and you can find different ones baking up a storm on every corner. But this is the town’s most authentic – it dates back to 1830- and it’s much more than a quick place to grab an empanada. Just a few minutes of snacking and people watching here and you’ll have a quick glimpse of daily life in Pisac and the warm locals that fill it. This creative café right in the heart of Pisac is another great stop for a cozy meal and plenty of people watching on the streets. Colorfully decorated with art all over the walls on the inside and a bright blue exterior on the outside, it’s one of our favorite places in Pisac. Go for classic Peruvian dishes as well as some familiar classics. So, how do you get there? As we mentioned, it will take you less than an hour to get from Cusco to Pisac, and there are plenty of ways you can do it! Bus: If you prefer to take buses, there are local buses and colectivos (mini-bus services) that run for just over a dollar for the journey! However, it’s a windy road with steep cliffs, so for your comfort and safety this is the least recommended option. Taxis: Taxis can be arranged by your hotel or tour guide, and are a much more comfortable way to travel. For only $20, you can get a taxi one way. Make sure to arrange with your driver to pick you up at the end of the day, or plan to find a taxi again to take you home! Tours: The easiest way to go, tours run all over Cusco every day of the week. Whether you want organized transportation, a full tour with a guide to take you throughout Pisac, or hope to visit Pisac in conjunction with other spots in the Sacred Valley, there is a tour that can help you see all of the above without all the hassle. (You can read below for tour recommendations). Don’t miss Pisac and the opportunity to witness the traditional way of life that remains in Cusco’s Sacred Valley. From eating roasted guinea pig in classic ovens to standing in ancient Inca ruins overlooking the valley, to watching local women weave the one-of-a-kind handicrafts you snag in the artisan market, these are just some of the things to do in Pisac. Everything you see here will help paint a portrait of the Sacred Valley’s rich heritage and the modern-day remnants of the Inca empire. If you’re interested in a tour, we recommend our Sacred Valley land tour extension. This 4-day itinerary will take you on a fascinating adventure to the heart of the Inca Empire by exploring the Sacred Valley (including Pisac! ), Cusco, and of course, Machu Picchu itself. 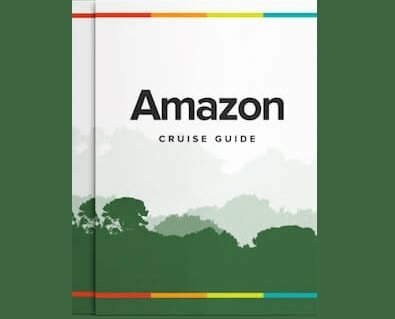 It’s perfectly convenient to organize either before or after your Amazon riverboat cruise so you can get the full spectrum of the wonders worth visiting in beautiful Peru.